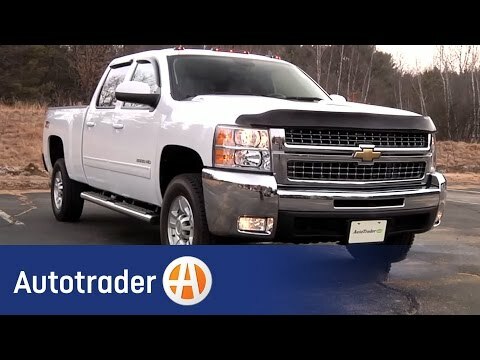 Whether purchasing for commercial construction, agriculture or recreational towing, if your needs are truly "heavy-duty" you'll likely find those needs met with the 2010 Chevrolet Silverado HD, which offers all of the virtues, with few of the vices, normally associated with a "heavy-duty" truck. when pulling a loaded trailer it does not struggle. plenty of power. my vehicle is used for pulling a trailer. it handles the road well especially hills. only complaint is the bed of truck is starting to rust. still love my pickup. Great performance on an awesome looking vehicle!!! I like the body style and color. The seats are very comfortable. It's also a very safe truck for the kids. Very Reliable and fun to drive. Best vehicle I ever owned. Very reliable and fun to drive. Good winter truck and body has held up well.